Because you’re saving so much money by building a house yourself, you can spend more for luxuries if you choose. 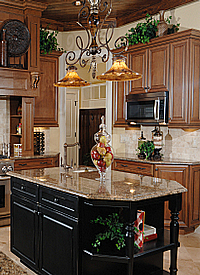 Cabinets are a good target for such spending because that is money you will likely get back if you ever sell the house. 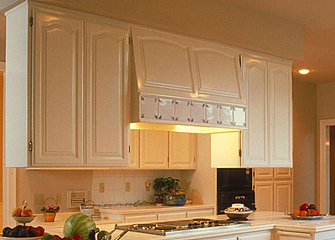 Cabinets can be installed anytime after drywall is sanded. I think it’s best to wait until after trim and the finish coat of paint, minimizing opportunities for damage. Installation should take 2-3 days. 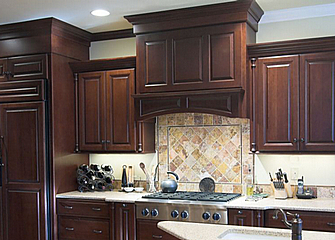 You can get cabinets in many types of wood, which vary greatly in price. If you spend extra on cabinets, it’s probably better to put the money into design and accessories, rather than choosing the more expensive woods.